In your body is a microcosm of the macrocosm. All elements that exist in nature exist in you. 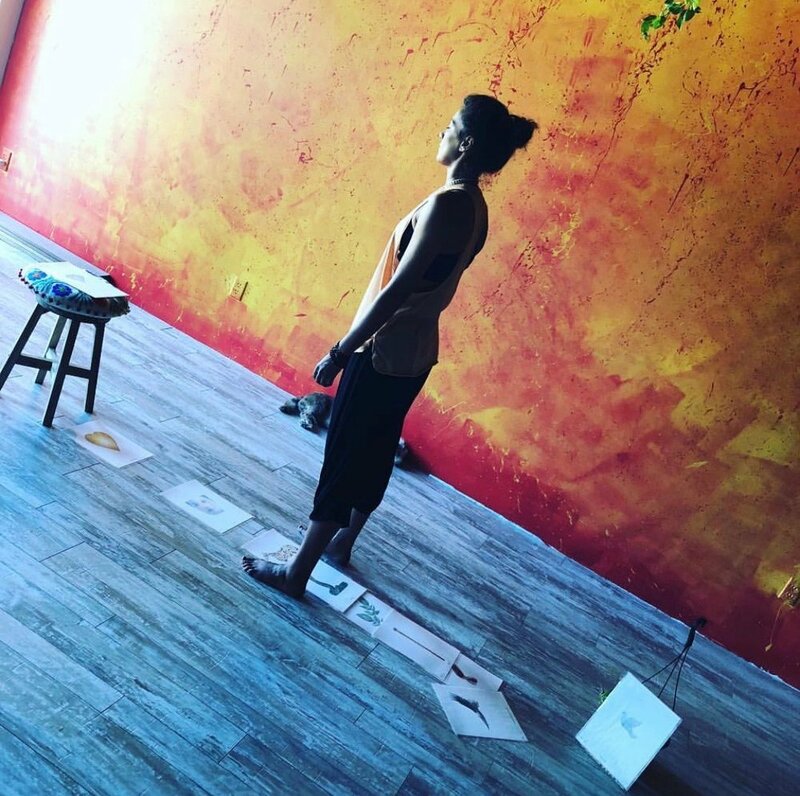 Constellation Work is a way to take what the soma (body) knows, your embodied self knows, and put it into a form that your mind can begin to understand. It also activates spatial and kinesthetic intelligence. This type of constellation process was developed by Dr. Solihin and Alicia Thom, which is similar but very different from Family Systemic process developed by Hellinger, as it was developed independently yet in parallel over a similar time process as his more widely known work. Hellinger's work primarily deals with unfinished ancestral or immediate family business. BeingHuman Constellation Work looks at the inner hierarchical dynamic (historical, feeling, doing, thinking, and spiritual) of a human being and helps to elicit and reveal the state of the human in the now; facilitating a causal and ontological reorganization of the being. In the beginning, you pick a complaint, challenge or ailment to focus on. You then create a layout using either iconography, cards, people, or imagery, to visually display what's hidden or out-of-order. In a state of surrender, you are informed by a variety of inputs. These inputs are mostly sensorial, but may also include body movement, vision, or thought. This process wakes-up the inner feeling so that through body/somatic feedback, we can get non-verbal information to interpret. In this deep reverential and sacred process, the surrender and the consequent dialogue provides the environment for you to see and feel the forces in action — these forces may be ancestral, stored feelings, those that have taken power and created stereotypical patterns in your behavior or shrouded you in a archetypal pattern, thus stopping you from revealing your own true purpose. The result is a quietness and fullness — of the moment — or a completion. The constellation often leaves you with a more nourishing picture, a deeper understanding of yourself, and permanent positive changes. In many cases, you may feel an immediate sense of lightness and well-being. Available for individuals, groups, couples, families or a business. workshop for your teachers, employees or team, click here. Offered Onsite, Phone, Skype and FaceTime.